Capturing all the sonic excitement of low-frequency effects without taking up valuable floor space, the RW-5802 in-wall subwoofer is certainly a force to be reckoned with. When combined with the RSA-500 dedicated subwoofer amplifier* this hard-hitter perfectly anchors an architectural home theater or two-channel system. Fitting standard 2- by 4-inch construction the easy-to-install RW-5802 can accommodate any new or existing structure with a minimum 0.5-inch dry wall surface. Because it features an MDF baffle with a reinforced composite sealed enclosure this high-powered passive module subwoofer provides guaranteed performance and minimizes sound transfer into adjacent rooms. The RW-5802 gets its deep-driving bass courtesy of dual 8-inch long-throw woofers. These exclusive drivers feature stiff well-damped Cerametallic cones a specially treated aluminum that has been anodized or electrochemically transformed into ceramic on both outer surfaces. 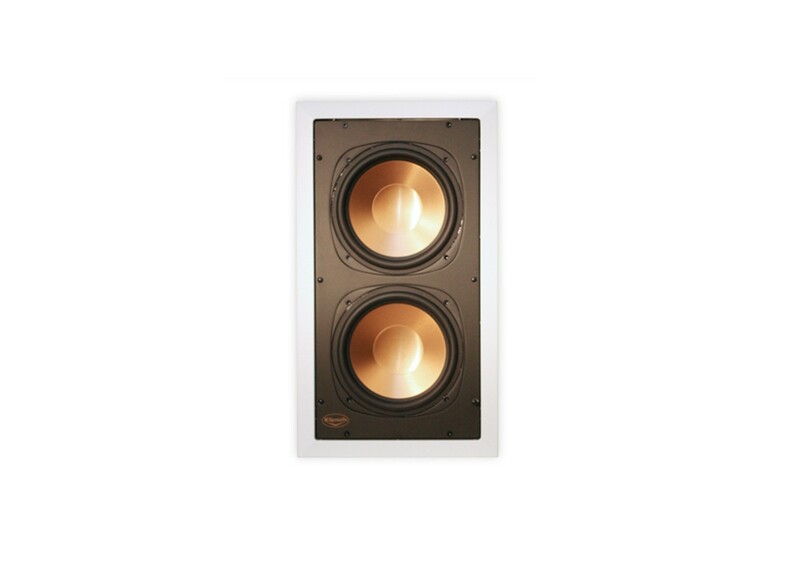 Second only to diamond in strength this ceramic compound allows the woofers to move at high speeds without blurring the sound like conventional designs. Designed to power the RW-5802 the RSA-500 amplifier will drive up to two subwoofer modules and delivers 300 watts into an 8-ohm load (one subwoofer module) and 500 watts into a 4-ohm load (two subwoofer modules). It also comes with rack ears for quick and easy installation.